Legal Alaska Poker - Which Forms of Gambling Are Legal in Alaska? Poker (and gambling in general) is hit and miss in Alaska. They have no casinos to speak of and the little bit of public gaming they do have apparently doesn't fall under their gambling laws (which would make them illegal). However, social poker is ok with provisions and not a lot is said about online poker. No problem. We’ve broken all of this down for you below. Alaska's laws say nothing about internet poker, gambling or casino games. That leaves a lot of room for interpretation. The right of the people to privacy is recognized and shall not be infringed. The legislature shall implement this section (Amended 1972). It's widely assumed that online poker falls under the legislation for social gaming, too. So you would think that online poker would be fine, legal even. However, that law was last amended (modified) in 1972, well before the internet. So that may or may not apply. Not to mention that there are always loopholes in privacy laws due to the nature of what people do in private. And since home poker games fall under social gambling, and that social gambling is considered to be games where no rake or house profit is made, I would question labeling online poker as “social gaming.” Making assumptions is always sketchy anyway. My recommendation? I would be more cautious than not. If you’re at all concerned about breaking the law I would avoid online poker until you’ve done more research or contacted your local authorities. That would be the best way to go to avoid future problems. That said, no one has been arrested in Alaska for playing online poker, to the best of our knowledge. Alaska law states that “social gambling” in ones home is legal as long as no rake or house fees are taken. In other words, no one can profit from the game taking place, only from playing the game. You can’t open your own mini-casino. Do Casinos in Alaska Offer Legal Poker? There are no (legal) casinos in the state of Alaska. Gambling devices are criminalized by state law, too. So you're not going to find casinos, casino poker or poker clubs. What you will find are pull tab and bingo halls. These are common all throughout Alaska. Examples include Native Village Barrow Pull Tabs, the Organized Village of Kake Bingo Hall and CBJ Bingo in Juneau. Apparently bingo and pull tabs are not considered games of chance, although I can't think of any other game that epitomizes "games of chance" or "random outcomes" more than bingo and pull tabs. Maybe the lottery, but there is no lottery in Alaska. We get a lot of questions about the legality of poker in Alaska. I thought I'd answer those here so that everyone can benefit from them. 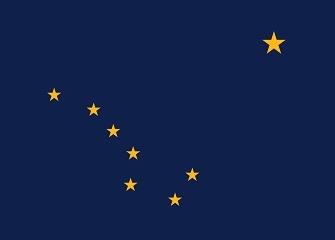 Will online poker be regulated in Alaska? It's hard to say. Legislation in this area has been relatively untouched. Alaskan government officials have shown no interest either way in regards to changing the gambling laws. Even if Alaska passes a law making online poker legal, the only way that it would work is on a federal level. It’s unlikely that it would work on an intrastate (Alaska only) level. Alaska is the 47th largest state in terms of population with a little more than 730,000 people. Remember that they have no casinos, so you could make the assumption that people in Alaska have relatively less interest in playing poker. So between the lack of interest and lack of people, intrastate poker probably wouldn’t work. That said, I'm sure I speak for all Alaskan poker players when I say that I’d be excited to see any forward progress in making poker legal in Alaska. What other forms of regulated gambling is offered in Alaska? The only regulated forms of gambling in Alaska are pull tab and bingo machines. Horse and dog races are not allowed except for dog musher's contests. There is no state lottery in Alaska. Where can I read more about Alaska poker laws? Here are a few interesting facts about Alaska poker and gambling. Gambling on animals in a race is not permitted in Alaska, though you can legally put a mouse in a maze with multiple exits and wager against the outcome. Alaska is only one of 7 states that do not sell lottery tickets. That means they are one of the few states that don’t contradict themselves when they illegalize games of chance either. Poker pro and writer Alex Fitzgerald (The Assasinato), a seasoned high stakes online tournament mid stakes cash game player, was born in Alaska. Alex currently lives in Seattle, WA. The Alaskan supreme court has ruled that residents may possess small amounts of marijuana in their home based off of current privacy laws depicted in the state's constitution.